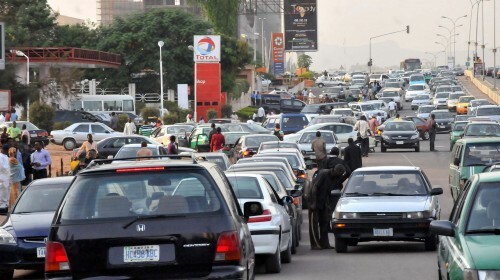 The Nigerian National Petroleum Corporation (NNPC) said on Thursday that it had 1.1 billion litres of petrol in stock to ease the current fuel scarcity nationwide. “As today, Thursday, June 11, 2015, PPMC/PPMC has Premium Motor Spirit (PMS) stock level of 1.1 billion litres, representing 27 days sufficiency,” said Joseph Dawha, the NNPC Group Managing Director, in Abuja, while briefing newsmen on the petrol supply situation. “This stock is excluding volumes with firmed delivery Lycans (dates) within the next couple of days. “With this level of stock, we have intensified our vessels and trucking operations to ensure that PMS is available at our inland depots and retail outlets nationwide,” he said. According to him, NNPC, through its subsidiary, NNPC Retail Ltd., has embarked on massive PMS lifting to its mega and affiliate stations in Abuja and across the nation. “In the last five days, we have brought into Abuja 428 trucks of PMS, averaging 85 trucks daily to address the PMS requirement in Abuja and its immediate environs,” he said. Dawha said that NNPC/PPMC was committed to ending the fuel queues in Abuja and across the states by the weekend in collaboration with the major marketers and other stakeholders. “Evidence has begun to emerge in the last two days as most of our stations are wet and the severity of the queues has started to reduce,” the NNPC chief said. “We have taken steps, as supplier of last resort, to improve availability of PMS in the country and ensure its effective distribution nationwide. “The supply and distribution efforts must be sustained with the support and cooperation of our stakeholders in the downstream and government agencies, such as police, army, Nigeria Security and Civil Defence Corp (NSCDC). “We are optimistic that we can put this ugly experience behind us,” he said.